The October issue of the EGEC Newsletter is now available. Click here to download it. Thank you to Victor Van Heekeren- In praise of European/ national collaboration. The European Geothermal Congress (EGC) is organised by the sector, for the sector. The purpose is to demonstrate the strength of European geothermal and to foster its continued growth. Papers concerning all areas of geothermal energy use, from very shallow systems to deep drilling and high-enthalpy fields are being accepted until 8th November. Oregon: Power Your Tesla with Geothermal Energy! Oregon Tech alumnus Jim Wegat donated an Electric Vehicle (EV) charging station to Oregon Institute of Technology, and the college held an official ribbon-cutting ceremony for it Tuesday. The station is free to the public, running off renewable energy generated by OIT's solar array and geothermal power plant. Oregon Tech's charging station is the fourth in the Klamath Falls area, but the first offering high-speed charging and the only one that is free to the public. It's the first station on Highway 97 between Bend and the California border, and the only free station within 100 miles, the Oregon Tech press release said. 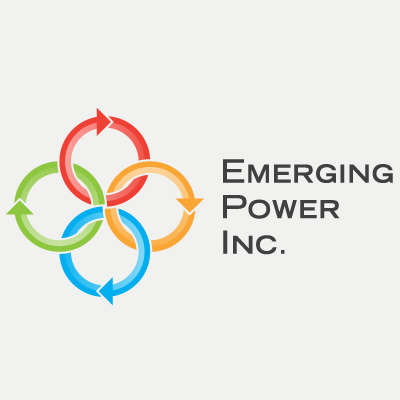 State-run National Power Corp. (NPC) will give renewable energy company Emerging Power Inc. a subsidy for providing geothermal power in the province of Mindoro, it was learned Friday. The amount was not disclosed, but it will come from the Universal Charge for Missionary Electrification (UCME) fund, a provision under the Electric Power Industry Reform Act (EPIRA) designed to ensure the delivery of reliable electricity to marginalized areas and those that are not connected to the main grid. EPI is getting the subsidy after it recently started construction of its geothermal power plant in Mindoro and signed a power supply agreement with two electric cooperatives in the province. In September 2015, a wildfire spread to our Geysers assets in Lake and Sonoma Counties, California, affecting five of our 14 power plants in the region which sustained damage to ancillary structures such as cooling towers and communication/electric deliverability infrastructure. The wildfire has since been contained, and our Geysers assets are generating renewable power for our customers at approximately three-quarters of the normal operating capacity. We expect our insurance program to cover the repair and replacement costs as well as our net revenue losses after deductibles are met. As a result, we do not anticipate that the wildfire will have a material impact on our financial condition, results of operations or cash flows. Thad Hill, Calpine’s President and Chief Executive Officer said “ I would like to recognize our team at The Geysers whose extraordinary efforts have resulted in production already reaching approximately 575 net MW, or nearly 80% of full capacity." IceLink allows energy to flow to Iceland at times of low hydro generation potential, e.g. due to unusually low precipitation levels. Canada: Discuss Geothermal Energy in a Pub! Craig Dunn, Chief Geologist at Borealis GeoPower, is hosting another Geothermal Beer Night an informal event/opportunity to meet folks in the geothermal energy industry and those who want to see this industry take off. Folks are just going to the Pub to chat about geothermal energy and whatever other topic comes up. This is an opportunity to meet others interesting in developing this resource in Canada and share ideas. A new conceptual model of the magma system below Mono Lake and Mono Craters in eastern California gives scientists a more detailed understanding of volcanic processes at depth, and a better model for forecasting volcanic unrest. The Mono Craters volcanic area is ranked among the nation’s high threat volcanoes. Recent eruptions at Mono Craters occurred about 600 years ago at Panum Crater, and about 350 years ago on Paoha Island in the middle of Mono Lake. The accuracy and high resolution of the new three-dimensional images of the magma chambers and volcanic “plumbing” below Mono Basin give scientists a better understanding of their size, shape and where the next eruption might occur. The 3D resistivity images show at least two vertical magma columns 10 km (6 miles) deep. One column underneath Panum Crater, resembling the shape of a giraffe’s neck, veers off horizontally, suggesting the presence of hydrothermal fluids near the surface. The other column, below South Coulee, gives no indication of recent near-surface activity. An older body of granitic rock, a pluton, was also discernable amid the columns of younger magma in the 3D imaging. Mitsubishi Materials Corp. and Mitsubishi Gas Chemical Co. set up a venture with plans to develop a geothermal power project in Japan’s northern prefecture of Iwate. The venture will conduct an environmental impact assessment after earlier tests confirmed an area in Hachimantai City has 15 MW of geothermal capacity, the companies said in a statement Thursday. The partners are aiming for the plant to start running in 2022, Hiroshi Shimizu, a spokesman for Mitsubishi Materials, said by phone. Mitsubishi Materials has a 60 percent stake in the venture, while Mitsubishi Gas Chemical holds the remainder. U.K. Prime Minister David Cameron is poised to launch an ambitious project that could see Britain harnessing the power of Iceland's volcanoes within the next 10 years. The plan would involve the construction of 750 miles of undersea cabling, allowing the UK to exploit Iceland's long-term, renewable geothermal energy. Teeming with volcanic activity, Iceland reportedly meets around 95 per cent of its own electricity needs using geothermal sources - but its remote location has made exporting it almost impossible. 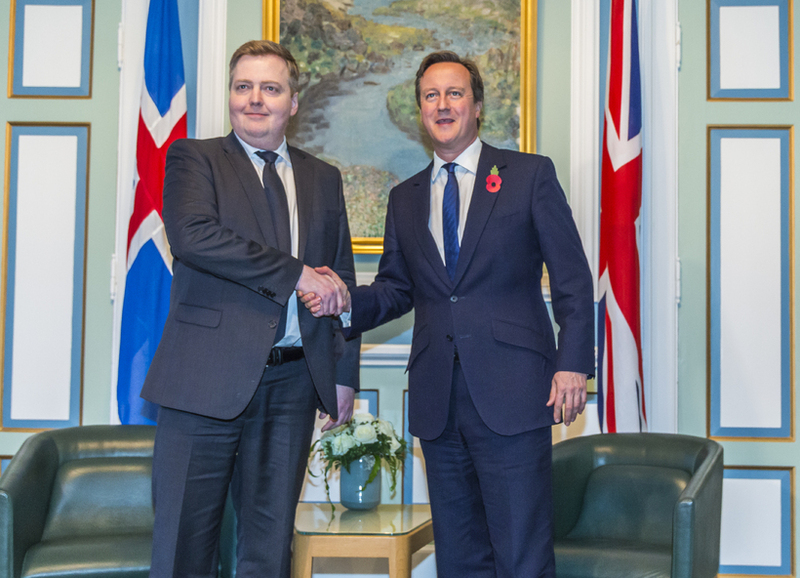 British officials told the Press Association that the new "UK-Iceland Energy Task Force" had been set up to examine the feasibility of the scheme and told to report back in six months. The Geothermal Power Plant Operator is qualified through the facilities qualification program to operate the Geothermal Facility, and perform outside operations of the Geothermal Facility at the direction of the Control Room operator. They are responsible for the safe and efficient operation of the geothermal power plant equipment for which they have qualified. The Geothermal Power Plant Operator will read and record all parameters associated with an operating power plant and geothermal well field. Please e-mail resume as a Word or PDF attachment and desired compensation to EGPNA.HRRecruiting1@enel.com with your name -Geothermal Operator B in the subject line. What follows is a study by the American Institute of Physics (AIP) which was released on the 23rd of October 2015. It looked at several cities in Canada and assessed whether there would be a measurable benefit to change to geothermal energy from the mostly oil fired systems in use. The Geothermal resource in the U.K. is completely under-utilized and often not considered when addressing renewable energy policies and projects. A good Position Paper on this was produced in Scotland by AECOM Energy and the Scottish Government in 2013. The DECC Policy Paper on renewables gives some incentive to geothermal, but it is suggested that a similar study to the Canadian one below, conducted in the U.K. would provide a real quantifiable benefits for the utilization of geothermal energy and provide documentary evidence to promote its development. The U.S. Forest Service is beginning an environmental study of an application to lease public land for a proposed geothermal power plant near the confluence of the Salmon River and Panther Creek, adjacent to the River of No Return Wilderness. Ormat Technologies wants the right to use hot water from Panther Creek Hot Springs to produce power that would be connected to Idaho Power’s grid. 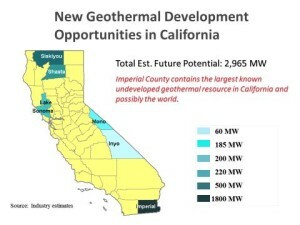 A BLM study of geothermal potential in the West estimated that the site has 10-20 megawatts of generating capacity—enough to power up to 20,000 homes. The draft environmental impact statement is expected in May, 2016 and the final environmental impact statement is expected in September, 2016. U.S. Geothermal Inc. has announced that its whole owned subsidiary U.S. Geothermal Guatemala S.A. has completed the drilling of well EC-2A and that well has successfully intersected a commercial geothermal resource at its El Ceibillo project in Guatemala. The resource found in well EC-2A was intersected at a depth of 1,300 feet (396 meters) and had a flowing temperature of 389°F (198.5°C). This well was drilled to follow up on a 2014 temperature gradient drilling program in which two shallow wells also found high temperature fluid, but not in commercial quantities. Temperature gradient well TG-6 recorded a fluid temperature of 372°F (189°C) at 558 feet (170 meters) and well TG-7 found fluid at 381°F (194°C) at 659 feet (201 meters) deep. Based on the discovery at EC-2A, two additional wells have been sited to further extend the resource area to the south and west of the known high temperature permeability and to test a deeper horizon in the system. Drill pads are being constructed and drilling of the next well is expected to begin within the next few weeks as weather allows. Pending results of these two wells, a decision will be made on the location for a production size well to fully test the resource to determine its size and production characteristics. The Philippine government is working on a new energy plan it hopes the next administration will adopt to curb the expanding share of coal in its fuel mix for power generation, an official said. The plan could see the Philippines generating a third of its electricity each from natural gas, coal and renewables between 2016 and 2040, Loreta G. Ayson, undersecretary at the Department of Energy said. Ayson said the energy department was finalizing a fuel mix policy that pushed for an increased share of cleaner fuels, hoping the successor of President Benigno S. Aquino III, who will step down next June, will support it. The Philippines currently generates 42.5 percent of its electricity from coal, with that share likely to increase in the short-term as projects that will boost coal-fired power capacity by more than 25 percent in just three years are already in place. Investments in power generation from clean fuels such as gas and renewables have lagged coal as the latter is cheaper and quicker to build to meet growing electricity demand in the Philippines. The Philippines Department of Energy (DOE) has approved the 25 percent buy-in by Trans-Asia Oil and Energy Development Corp. in the planned 20 MW Mabini geothermal power project located in Batangas, operated by Basic Energy. Trans-Asia said the consortium is preparing for the drilling of one exploratory well in the area by the third quarter of 2016. Both parties signed in December 2013 an agreement for the exploration and development of geothermal service contracts (GSC). Under the deal, Trans-Asia acquired a 10 percent stake in Basic Energy’s Mabini GSC, with the option to boost its stake to up to 40 percent. Furthermore, it also has the option to acquire up to 60 percent of Basic Energy’s other geothermal service contracts in Mariveles Bataan, East Mankayan in Benguet, West Bulusan in Sorsogon and Mt. Iriga in Camarines Sur. Scientists discover the causes for heat flow anomalies near the Japan Trench. Near the Japan Trench, a subduction zone where the dense oceanic Pacific plate plunges beneath the relatively light continental Okhotsk plate, the flow of heat is unexpectedly high. Kawada et al. constructed a thermal model explaining that hydrothermal circulation causes this heat flow anomaly. 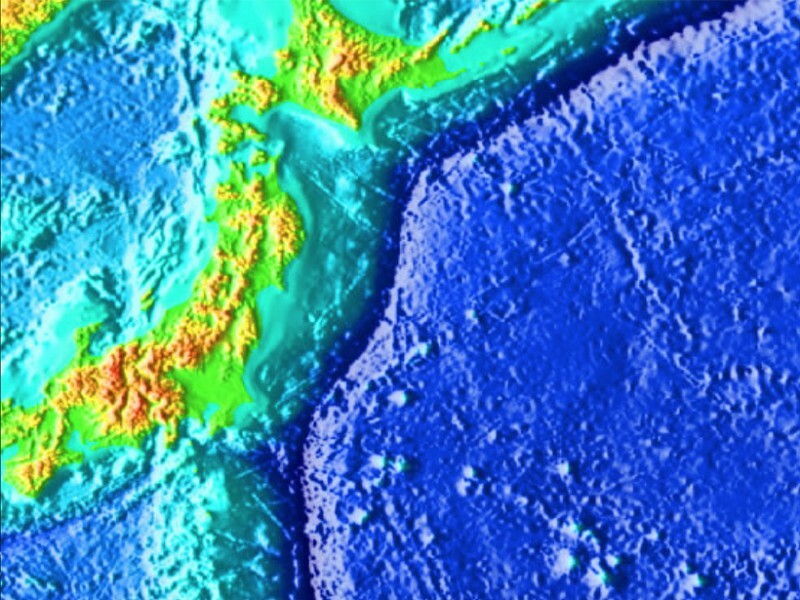 Scientists have conducted heat flow surveys near the Japan Trench and discovered that the heat flow within 150 kilometers of the trench is higher than would be expected on an abyssal plain of the same age. The authors constructed a model and showed that this discrepancy can be explained by taking into account additional sources of heat transport, namely, enhanced hydrothermal circulation. Citation: Minnehan, C. (2015), Bending plate provides unexpected heat source, Eos, 96,doi:10.1029/2015EO036435. Published on 1 October 2015. Renewable energy accounted for 60.20% of the 7276 MW of new generation capacity placed in service in the USA during the first nine months of 2015, according to the Sun Day campaign. Sun Day cited the Federal Energy Regulatory Commission’s (Ferc’s) Energy Infrastructure Update report, which, it said, noted 26 new units of wind power accounting for 2966 MW of new generating capacity or 40.76% of all new capacity in the year-to-date. Solar followed with 1137 MW (142 units), biomass with 205 MW (16 units), geothermal steam with 45 MW (1 unit) and hydropower with 27 MW (18 units). There were also 34 units of natural gas contributing 2884 MW, 9 MW from six units of oil, 3 MW from one new coal plant and no new nuclear. It added that renewable energy sources now account for 17.40% of total installed operating generating capacity in the USA – hydro 8.59%, wind 5.91%, biomass 1.43%, solar 1.13% and geothermal steam 0.34% (total installed capacity is 3.91 GW). This was up from 16.35% of capacity in September 2014 and 15.68% in September 2013. State-controlled Italian energy group Enel is considering an integration of its renewables subsidiary Enel Green Power (EGP). The companies' boards are examining the possibility and have selected advisers for the potential move. "The possible implementation of this corporate integration is not due to involve any public offer by Enel to purchase and/or exchange EGP shares," Enel said in a statement, published in response to reports in the media. They added that “Enel and EGP will promptly inform the market of any decisions adopted by their respective boards concerning the transaction”. No further details were given. Enel already owns 69 per cent of EGP. Sixteen game-changing initiatives from around the world were announced as winners of a prestigious United Nations climate change award. Winning activities include a project in El Salvador where local women are utilizing geothermal steam in their business. Women from rural communities in El Salvador are increasing their incomes and tackling climate change through a unique project that uses waste heat and steam condensates from nearby geothermal plants. Women living in communities near the geothermal plants use waste heat from the geothermal steam to dehydrate fruit for themselves and for commercial sale. They also grow and sell plants watered with geothermal condensates. Four women are permanently employed as rangers in a wildlife protection park, which has been established in the geothermal field. Through this project, women are able to run a productive business while earning a sustainable income. In recent years, there has been a spate of stories about lowered carbon emissions in the US, the EU, and China. But the drop in carbon emissions is typically attributed to reduced economic activity as a result of the global financial meltdown after 2008 - not the ramp-up in renewable energy that occurred at around the same time. The general media has been slow to make the connection to the increase in renewable energy that accounts for at least some of it. Over the last eight years, there has been a rise in renewable energy, and it is starting to show up in a slowed growth in carbon emissions. 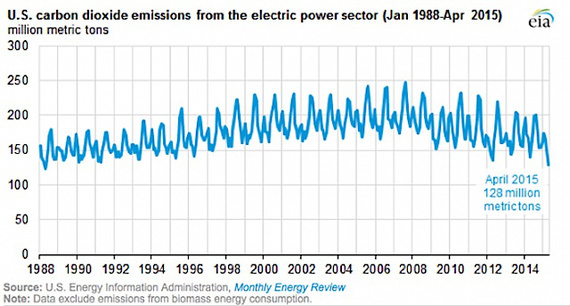 Since 2005, US emissions dropped 10%. In just 2014, the EU registered a 4.5% drop. Only very recently have the - normally very fossil-friendly - EIA in the US, and the IEA internationally begun put the two trends together; that emissions are dropping in many regions around the world - precisely because of the rise in renewable generation. At the end of 2014, EIA finally admitted that US carbon dioxide emissions (CO2) have declined in five of the past eight years, and actually linked it to the increase in clean energy. On October 23, 2015, U.S. Secretary of Energy Moniz and Indonesian Minister of Energy and Mineral Resources Sudirman Said signed a Memorandum of Understanding to expand existing energy cooperation including collaborating on financing structures and adequate project risk mitigation tools to accelerate the pace of geothermal investments in Indonesia. To increase our cooperation on climate change and bolster Indonesian energy security, the United States and Indonesia will collaborate on financing structures and adequate project risk mitigation tools to accelerate the pace of geothermal investments in Indonesia. Indonesia has approximately 29 gigawatts of geothermal resources that, if fully realized, could help to avoid yearly release of .73 gigatons of CO2e. The Indonesia Ministry of Finance established a geothermal fund for risk sharing with more than $300 million in funding to mitigate resource risks in early stage geothermal development. In addition, the World Bank has raised $150 million for the Global Geothermal Development Plan. The Department of State has proposed a geothermal risk reduction program that seeks to utilize these idle funds to support exploration drilling and insurance instruments for geothermal production drilling risk to accelerate the financing of geothermal projects in Indonesia. The canton of Geneva’s utility company has launched an ambitious exploration program seeking potential sources of geothermal energy in 33 municipalities, including eight in the neighboring canton of Vaud. The program is part of the 20-million-franc GEothermie 2020 project launched last year by the Services Industriels de Genève (SIG) to find naturally occurring sources of hot water beneath the earth’s surface. Heat can be extracted from this water to power electrical power generators or to provide heating. SIG said that initial tests last year in an eight-kilometer zone between the municipalities of Chancy and Bernex in the far west of Switzerland, concluded that hot water is available in the Lake Geneva basin in limestone rock at levels less deep than previously thought — as little as 500 meters. Researchers from The University of Queensland’s Geothermal Energy Centre of Excellence (QGECE) have developed hybrid cooling tower technology that reduce water consumption in thermal power generation, while also being modular for faster construction. All thermal power plants (including geothermal, solar thermal, biomass, coal-fired and even nuclear) produce waste heat as a by-product. The role of the cooling tower is to dissipate the waste heat, in order to allow the plants to operate efficiently. There are two types of cooling towers: wet or dry. Wet cooling towers evaporate water into the air flowing through the tower. Dry cooling towers transfer heat from the power plant directly into the air. Wet cooling towers are one of the largest consumers of water in power generation, due to evaporation loss, blow down water loss and drift water loss. A wet cooling tower for a 350 MWe coal-fired power plant, for example, consumes 5.5 billion litres of water per year. In contrast, dry cooling towers save significant amounts of water by keeping the working fluid separated from the cooling air. However, these towers require more heat exchangers, and are also less efficient when ambient temperatures are higher. Italian company EXERGY recently signed a contract with EDA Renováveis for the construction of a 4 MW geothermal binary plant in the Azores, Portugal. The client, EDA Renováveis, is the renewable energy segment of EDA (Energy do Azores), the utility company of the Azores. The plant will be built on Terceira island in an area called Chambre-Pico Alto. The Mexican National Council of Science and Technology (CONACYT) and the Energy Secretariat (Sener) have launched a call for International Cooperation Research and Development between Mexico and the European Union in Geothermal Energy. The partnership hopes to develop research and technology in the field of geothermal energy that can be applied to the field of Enhanced Geothermal Systems (EGS) and Super Hot Geothermal Systems. 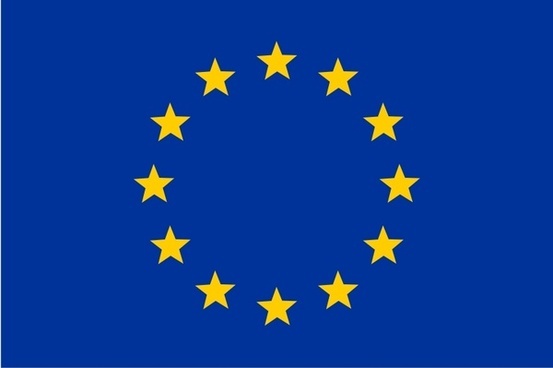 The call is issued in a coordinated and jointly with the European Commission within the scope of the Framework Programme for Research and Technological Development of the European Union Horizon 2020. The focus of this 3-year research project is to develop scenarios and models for the potential use of geothermal hot fluid for enhanced recovery of heavy oil, and production from marginally economic gas fields by water injection from a geothermal doublet project. Applying such approaches will result in efficient-energy recovery from stranded fields and can make production from these fields profitable. This project aims at developing a field-scale model to represent the non-isothermal single- and two-phase flow processes taking place in the subsurface. A coupled numerical model that considers hydrocarbon and heat production from different geological formations needs to be developed and applied to two hydrocarbon fields in the Netherlands. The detailed geological models need to be constructed based on the sequence stratigraphy principles. Several field development scenarios will be advanced in cooperation with stakeholders. For more information about this position, please contact Hamid Nick, h.m.nick@tudelft.nl. To apply, please e-mail a detailed CV, summary of academic record and research experience, list of any publications, list of two references, and a letter of application by 15 November 2015 to D.W.A.M. Verbunt, Recruitment-CiTG@tudelft.nl. The Geothermal Resources Council (GRC) has announced the outstanding technical presentations from the global geothermal community for 2015. The selections were made in each of the GRC Technical Sessions held in late September at the 39th GRC Annual Meeting in Reno, Nevada, USA, the world’s largest annual geothermal energy event. The judging criteria included the technical content, the quality of the visual aids and the presenter’s ability to communicate the subject matter. Over 135 presentations were made totaling over 45 hours over three days. More than 1,200 attendees came to the GRC Annual Meeting and GEA Expo from around the world. The 2015 GRC Transactions, the technical papers presented at the 39th GRC Annual Meeting in Reno, are now available for free download by GRC members: click here for a list of the 131 articles. To download the 2015 Transactions or email citation lists, sign in as a GRC member. Non-members can join the GRC or order individual articles. All GRC PDFs from 2014 and earlier, plus several thousand additional non-GRC PDFs, are available for free download by everyone without signing in. 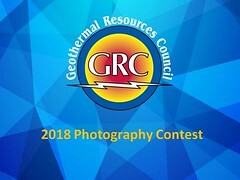 The Geothermal Resources Council (GRC) is a professional educational association for the international geothermal community. Our database contains over 40,000 records on all aspects of geothermal energy, including exploration, reservoir engineering, power plant design and operation, direct use, geothermal heat pumps, regulatory issues, energy policy, energy markets, news briefs, and more. We provide article-level citations to: all GRC Transactions (1977 to present), all GRC Special Reports, numerous feature articles and news briefs from the GRC Bulletin (1973 to present), corporate and academic technical reports, journals, and books. I met Miguel Ángel Benítez Torreblanca, an Instrumentation Engineer – Graduate student at the Instituto de Ingeniería, Universidad Nacional Autónoma de México (UNAM) at the GRC Annual Meeting in Reno. He thanked the GRC for running a short article on a Geothermal Desalination Unit that his research group was developing at the iiDEA (Instituto de Ingenierfa, Desalacion y Energfas Alternas) at UNAM in the May/June GRC Bulletin. Miguel has followed up with some more information on the very interesting work his group are doing in geothermal energy. There is some exciting research happening in Mexico! Thanks Miguel! iiDEA (Instituto de Ingenierfa, Desalacion y Energfas Alternas) is an applied research group developing new technologies to satisfy three basic human needs: desalination of seawater, conservation of food through dehydration, and power generation. Flash Evaporation Binary Cycle: iiDEA is currently working on a low-power generation cycle which may be used with waste heat, or low-enthalpy geothermal energy, this cycle is named Flash Evaporation Binary Cycle (FEBC) after one of its principles of operation. Modular Geothermal Desalination Unit: While conventional desalination units use waste heat, needing up to 120 degrees C, the Modular Geothermal Desalination Unit (MGDU) uses low-temperature geothermal fluid, with temperatures as low as 90 degrees C, optimizing the exploitation of its thermal energy and showing good water recovery rates. Geothermal Food Dehydrator: iiDEA has developed the Geothermal Food Dehydrator (GFD) to provide improved dehydrated products using low-enthalpy geothermal energy, reducing costs associated with packing, transportation and storage, guaranteeing a high-quality conserved food that may supply and meet population demand. 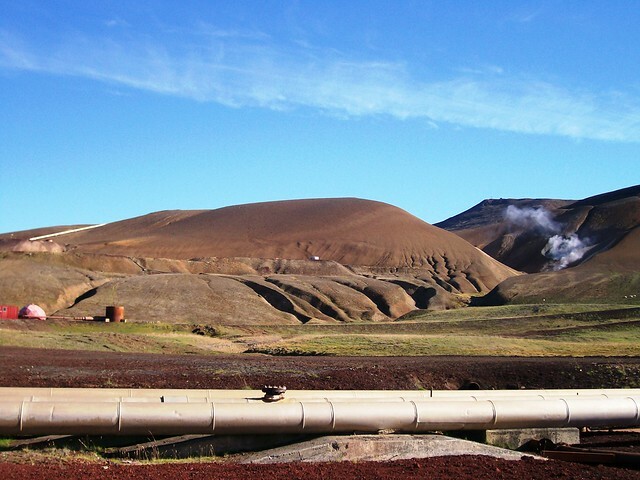 Papers concerning all areas of geothermal energy use, from very shallow systems to deep drilling and high-enthalpy fields are being accepted until 31st October. "Geothermal Production, by Mother and Man" by Joseph F. Batir. Geothermal pipelines in the Krafla geothermal field with steam in the background from geothermal surface manifestations. Krafla, Iceland. Taken September 2 2010. An exciting volcanology PhD opportunity at Lancaster University, starting in October 2016, on magma-geothermal interactions at Krafla volcano in Iceland. The project will involve fieldwork, geochemistry and textural analysis to reconstruct how shallow rhyolitic magma interacts with external water, in collaboration with volcanologists at the British Geological Survey and University of Liverpool, and Landsvirkjun in Iceland. The field site will be the spectacular rhyolitic dyke and intrusions at Hrafntinnuhryggur, close to the geothermal power station. A key aspect to investigate is how fracturing and mineral precipitation influence the permeabilty of intrusion margins. This is because the potential exploitation of magmatic intrusions as a powerful geothermal heat source critically depends upon the permeability at the magma-geothermal interface. Project results will therefore inform ongoing research into magma drilling at Krafla, which is scheduled for 2017. You can visit the IDDP website (http://iddp.is/) for the background to magma drilling at Krafla, including this short film:https://youtu.be/3d8hC71xGpc. More information will be posted on the Envision DTP site (http://www.envision-dtp.org/) in mid-November, but please get in touch in advance if you are interested. Eligibility: UK/EU students only. On October 12, 2015, Polaris Infrastructure's wholly owned subsidiary, Polaris Energy Nicaragua, S.A., successfully commenced drilling the first of three new production wells for the San Jacinto project. They anticipates drilling for the first of these three wells, SJ 6-3, to be complete in early December 2015. There will be an approximately 30 day heating-up period, after which we will have thermal recovery and move to production testing in early January 2016. Further, Polaris Infrastructure announces that its 95% owned subsidiary, Cerro Colorado Power, S.A., has entered into discussions with The World Bank Group with respect to financing for purposes of completing an initial drilling program at the Casita-San Cristobal project. These funds are expected to fall under the World Bank's $115 million Nicaragua Geothermal Resource Risk Mitigation program. There is an infinite amount of energy lying right beneath our feet. It is a renewable and stable energy source – free of CO2 emissions. Researchers are now planning to drill deep into the Earth to extract it. If they succeed it will be a major technological breakthrough. Ninety-nine per cent of planet Earth has a temperature in excess of 1,000 degrees Celsius as a result of residual heat inherited from the Earth's primordial origins and the breakdown of radioactive materials. This heat can be transformed into energy – and there is more than enough to go round. Researchers and technologists from all over Europe are joining forces to pursue a common cause -- to make sure that the world's potentially most energy-rich geothermal well becomes a reality. The well will be drilled in Larderello in Tuscany, and EUR 15.6 of research funding has been earmarked for the project. Global green energy producer Enel Green Power is heading the project called DESCRAMBLE (Drilling in dEep, Super-CRitical AMBients of continentaL Europe), where the aim is to extract the maximum possible energy from the well. The enactment of Argentina's new renewable energy law could reactivate old projects of the Genren program, local energy news site Energia Estrategica said Thursday, quoting Roberto Sarquis from state-owned energy company Energia Argentina SA (Enarsa). In 2010, the government awarded power purchase contracts to nearly 1,000 MW of renewable energy projects under the programme, the bulk of which have not attracted financing. Many of the projects may resume if they are able to receive financing, for which the law will be very helpful, according to Sarquis. Among other measures, the government will direct 50% of the savings from fuel imports resulting from renewable generation to a new fund supporting the renewables, which Sarquis believes will stimulate old projects too. Launched in 2009, the Genren energy program proposed development of 30 MW of geothermal energy in Argentina. Iran has expressed readiness to conduct joint research projects in renewable energy technology with domestic and foreign companies. Iranian Deputy Energy Minister Houshang Falahatian said that despite the fact that vast distribution of subsidized fossil fuels has masked the need for working toward the use of renewable energy in Iran, the ministry has recently put on agenda to pay special attention to power storage technology, Iranian media reported on October 20. He also noted that there are 15 geothermal-reliable zones in Iran and these areas could produce up to 800 MW of electricity for urban areas with over 250,000 people. The University of Hawaii survey, funded by the U.S. Department of Energy and state Department of Land and Natural Resources, will occur on 19 parcels on agriculture land. 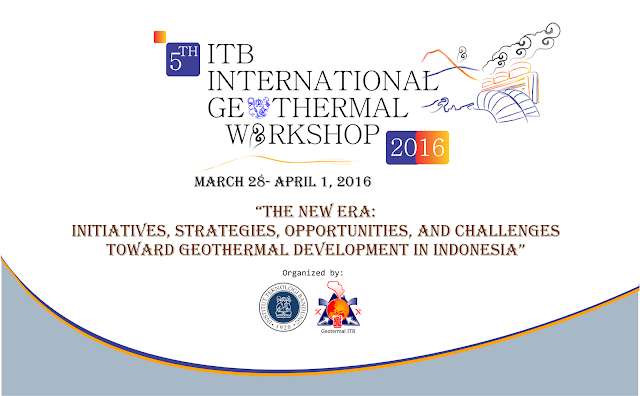 GEO to Help DOE Find its Geothermal "Vision"
PLUS More GEO News and Announcements! The Energy Institute at Haas invites interested researchers to submit papers for the POWER Conference on Energy Research and Policy. Of particular interest are papers that include relevant analytic questions associated with energy market research and policy including Renewable Electricity Generation and Integration. "Dead Tree, Nests & Thermal Plants," infrared exposure. Salton Sea, CA. 2014. | Photo: Osceola Refetoff. The Salton sink in California's Imperial Valley is a giant geological laboratory retort into which most of the problems challenging the West have been distilled. Now residents, officials, and scientists work to find the right combination of chemicals, strategies, apparatus, and protocols to identify workable solutions. It is fashionable for journalists to write of the Salton Sea and nearby communities in post-apocalyptic terms. While not inappropriate, this is only half the story. The area, as it struggles with water problems, the border, chemical and air pollution, Native water rights, geothermal green energy repercussions, pesticide toxicity, unskilled labor force, climate change, and exploitative development, is mirroring California and the West's growing trials as they confront the future. For some, it is a depressing landscape, yet seen from a neutral perspective, aesthetically beautiful in varied ways. It sets the bar high in search for human solutions to mostly human-caused problems. We are fortunate to live in a state that has ample natural non-fossil-fuel resources to provide electricity for our citizens. Not only do we have an abundance of sun to power solar generation, but we have a reliable steady-state resource right in our backyard: the Salton Sea Known Geothermal Resource Area in the Imperial Valley. The geothermal fields near the Salton Sea are the hottest, most prolific resource in the U.S. The reservoir is part of our major fault system near the end of the San Andreas fault. Lateral slip occurs as the North American and Pacific plates slide past each other. This movement forms a “spreading basin” creating natural geothermal reservoirs. We will need all of the renewable energy technologies. Geothermal can be an important part of that mix. It provides a very useful kind of electric power, which is available 24 hours a day, 365 days a year. Using advanced technology, geothermal can minimize greenhouse gas emissions and water use on a small land footprint. It can also provide a much needed by-product, lithium, without the need for separate mining facilities, while supplying permanent jobs and a significant revenue stream for the community. Just when we absolutely must find ways to stop using fossil-fuel, geothermal energy is a large-scale, economically feasible, renewable energy source our region should seriously consider. Every single barrel of oil also brings out close to seven barrels of boiling hot water which can be utilized to generate electricity through geothermal turbines. "Oil- and gas-producing sedimentary basins in Colorado, Illinois, Michigan, and North Dakota contain formation waters of a temperature that is adequate for geothermal power production," said researchers and GRC Members Anna Crowell and Will Gosnold in a paper that appeared in Journal Geosphere. With the overall rig-count in the U.S. falling by more the 1,130 since last year, can any geothermal company stage a coup using the oil industry’s rejects by making the geothermal technology cost competitive? A report released in April this year stated that Continental Resources and Hungary based MOL group were testing a system that could generate electricity by using hot water that is present in the oil well. With close to 25 billion gallons of water used by U.S. drillers on an annual basis, this system (if developed commercially in the near future) could generate electricity, which would be the equivalent to three coal fired plants running 24 hours a day, thereby reducing overall costs. Although the U.S is the leading global producer of geothermal energy, it contributes only a small fraction of its overall energy consumption. However, geothermal energy can provide drilling companies with the much needed ‘green credential’ as it produces less carbon than other power sources. 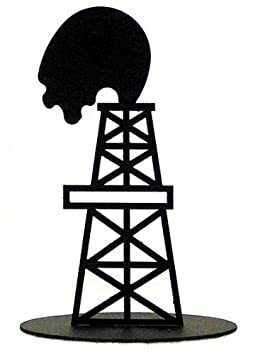 Still, the biggest and most important limitation is the high cost of drilling associated with it. Although there are some new and promising developments made by researchers and companies like Hypersciences, geothermal energy can only go main stream once the costs associated with it come down. Geothermal energy indeed deserves the attention that it is now getting. Kenya Electricity Generating Company (KenGen) is pursuing alternative sources of money to supplement funding from loans and equity for its key projects. During the period to 2018, KenGen plans to spend Sh180.25 billion ($1.75 billion) to finance new projects, mostly geothermal, that will include setting up new power plants and rehabilitating the existing ones. Last week, the company disclosed plans to raise funds through commercial drilling, consultancy services, the Olkaria geothermal spa, a proposed industrial park and establishment of a container freight station. Charles (Chuck) Bryant and Josh Clark devote the whole of their podcast to all forms of geothermal energy - and do a pretty good job! Green energy is good for all, and it doesn't get much greener than using the Earth's own heat to warm your home or office. Learn all about geothermal energy in this episode. As the head of a geothermal power company, I have often weighed the right approach the power-producing industry must take to be responsible energy partners. Some have advocated that we close down all coal-powered plants immediately, regardless of damage to the economy and lost jobs. I advocate a different approach. History has proven over and over again that a diversified portfolio of different energy sources is critical to maintaining stability. This new balance of renewables, gas, nuclear and, yes, coal is clearly diversified and will protect against changes in the future that might otherwise hurt New Mexico economically. In addition, to be good responsible partners, we must consider the impact on both the economy in general and on people in particular. To close down all four coal-fired units at once might cut carbon emissions further than what has been proposed, but the economic cost in human terms – the job loss of our fellow citizens – would be devastating. We should advocate a phased-in, responsible approach that balances the need for jobs and the impact of carbon reduction. On the foothills of the Mt. Unzen Volcano, the Nagasaki Prefectural town of Obama Onsen, which literally means “Small Beach Hot Springs” in Japanese, is harnessing the power of the earth. In the town famous for its relaxing therapeutic spas and some of the hottest natural springs in Japan, the local people have come together to start their own renewable energy initiative. To supplement the loss of nuclear power, the use of oil, natural gas and solar has since increased to stabilize the energy supply. However, according to reports only 2 percent of Japan’s geothermal resources are used to generate electricity. The people of Obama Onsen believe that there is another way to produce clean geothermal energy in a way that is rarely done in Japan. Prior to this new initiative, the hot springs in Obama Onsen were noted to waste 70 percent of their famously hot water. The 180 kW Obama Onsen Energy Plant uses the excess heat from natural hot springs to generate electricity. The concept has the power plant run and funded entirely by collaborating with local people and a company, Koyo Denki Co. The energy plant uses 100℃ (boiling) spring water in a heat exchanger. The hot water evaporates the fluorine into steam that turns the turbine. Sea water is used to cool the vapor back into liquid for the binary process to begin again.